Speed Records launches trailer of Kulwinder Billa's next track Sucha Soorma, Music of the song is composed by GagzS2dio‬ and lyrics are penned by Bunty Bains. 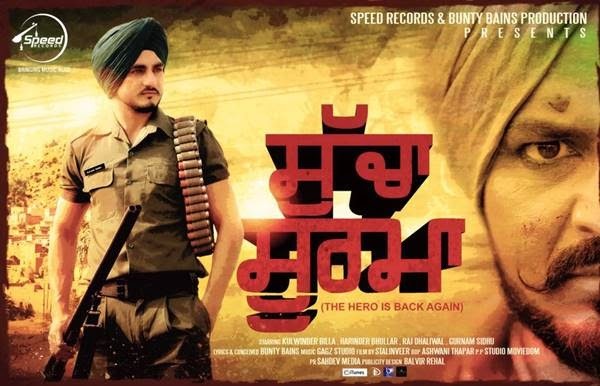 After the grand success of Fer toh Punjab, Kulwinder Billa dropping back to back singles in a row. He released 'Time Table', 'Bachpan', 'Chakwein Suit' this year followed by his last year single track 'Tayari Haan Di'. Sucha Soorma is the title of his next single releasing soon after. Music of the song is composed by GagzS2dio‬ and lyrics are penned by Bunty Bains. Other backing vocalists in the track are Harinder Bhullar, Raj Dhaliwal and Gurnam Sidhu. Video of this number is directed by Stalinveer. Trailer of the video has been released, full music video will be out soon on Speed Records, Stay tuned!